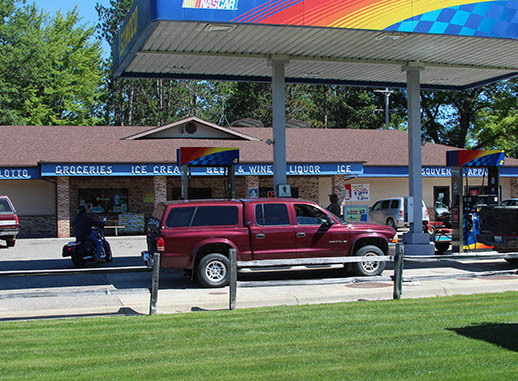 Parkview Acres Convenience Store and Campground - Lupton, Michigan | Where Small Town Hospitality And Service Is Our #1 Priority! Fast, friendly service that’ll get you on your way! Our staff is ready and waiting to serve you. Parkview Acres Campground offers grassy pull-thru sites with full water and electric hookups (30 amp service). All sites have a picnic table and a fire ring. The campground also offers public, coin-operated showers, laundry facilities and a fully-accessible dump station for our campers. 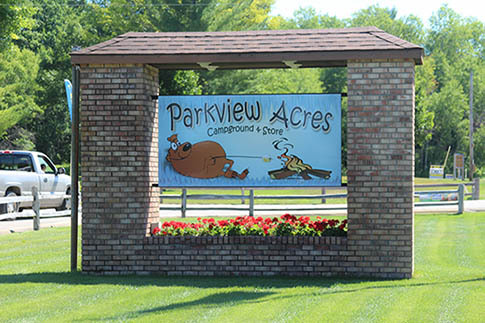 Parkview Acres Convenience Store is located in front of the Campground. Through the years, Parkview Acres Convenience Store’s success has been attributed to our clean store and the friendly employees who pride themselves in customer service. We are committed to offer our customers competitive gas prices, groceries, and quality hunting, fishing and camping supplies. Our staff is ready and waiting to serve you! The convenience store offers a large variety of sporting goods and DNR licenses. Stop in today for an icy cold beverage, a delicious premium coffee or a hand dipped ice cream cone! We also have homemade sub sandwiches, burgers and pizza. Our 28 degree “Beer Cave” and “Ice Cave” keep you and your beverages cool! Right outside the store are fueling bays offering “GAS UP and GO” convenience. The service station also offers REC fuel, diesel fuel and propane tank refills.